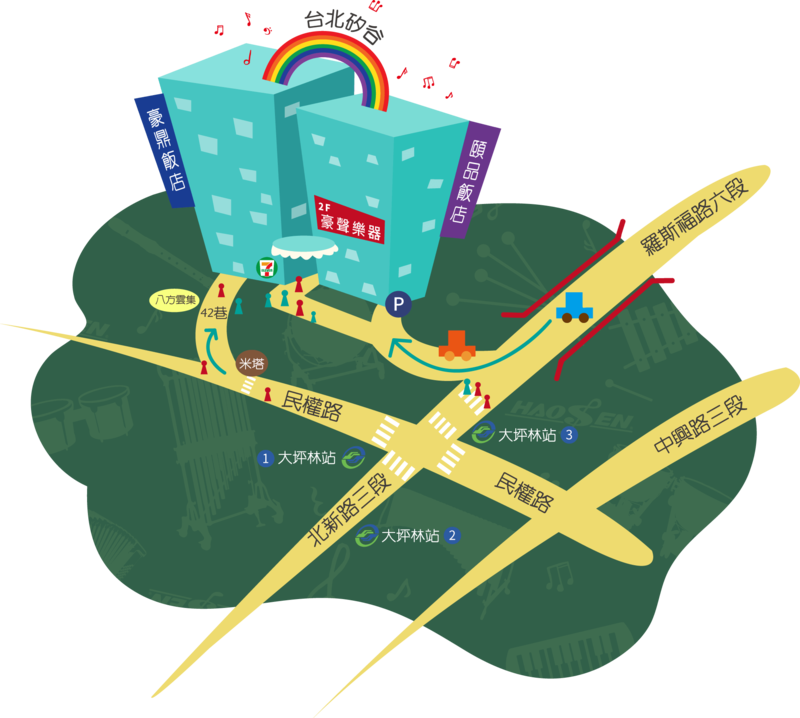 Hau Sheng Wooden Instruments Co., Ltd. was established on November 14th, 1988 in Taipei, Taiwan. We offer a huge selection of percussion instruments at reasonable prices for both import and export. We provide the best quality percussion instruments, services by knowledgeable and friendly staff, and solutions to customer's needs and desires. We want to provide the high quality percussion instruments to be easily accessible to all musicians, teachers, and students. We differentiate ourselves from the others by providing the highest quality and durable percussion instruments. We continue to look for new ways to improve our percussion instruments as well as working with our suppliers to improve their percussion instruments. 2F., No.207, Sec. 3, Beisin Rd., Sindian Dist.